Is this a bug, any chance to bring this feature back? Many users still using reference view layout, including myself, it's much faster to browse and easier way to edit page. This is a temporary thing, sorry. It is part of the work outlined on https://getsatisfaction.com/imdb/topics/upcoming-changes-to-several-imdb-features-du6man1opd5q0 ... once all the other software migrations are complete, the reference view will be moving to the new platform too and the reviews will return. 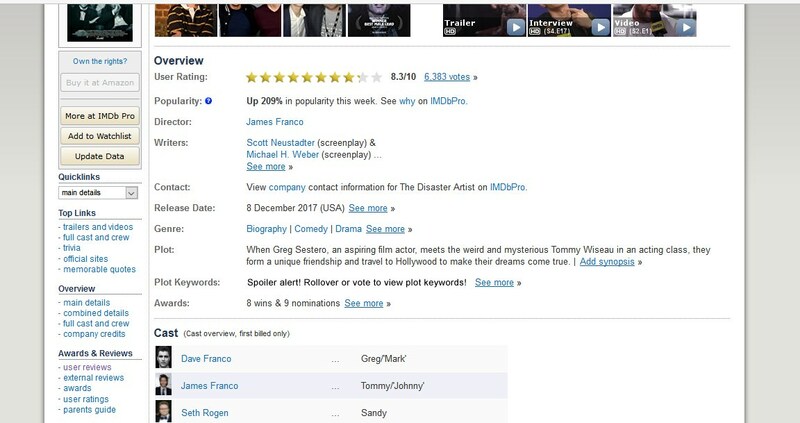 Just a couple days ago I noticed the main page for movies doesn't include a User Review at the bottom of the page. Is there a way to fix that and make it go back to the way it was? I realize you can still read the User Review by clicking on that section, but sometimes I just wanna quickly see the basic idea on the main page from a user rather than leafing through countless user reviews in the User Review section.